Nikwax UV Protection products have been designed to protect outdoor equipment from UV deterioration. These products will add fabric strength and lengthen the lifespan of your equipment. Nikwax UV Protection products are great for tents, rucksacks and panniers. 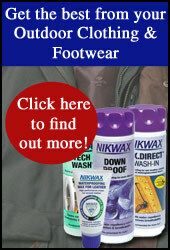 Make sure you get the most out of your outdoor gear with Nikwax UV Protection sprays.